Bourgeois died in 1994 at the age of 92. 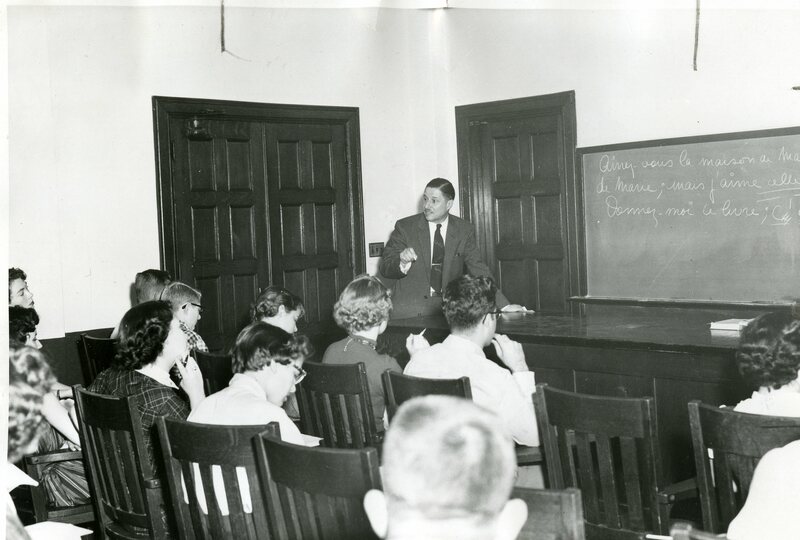 Gifts in his memory were used to create the annual Pi Delta Phi (French Honor Society) award which is named in his honor. Bonus: This picture is a particular favorite of mine. (You know how I love candids!) 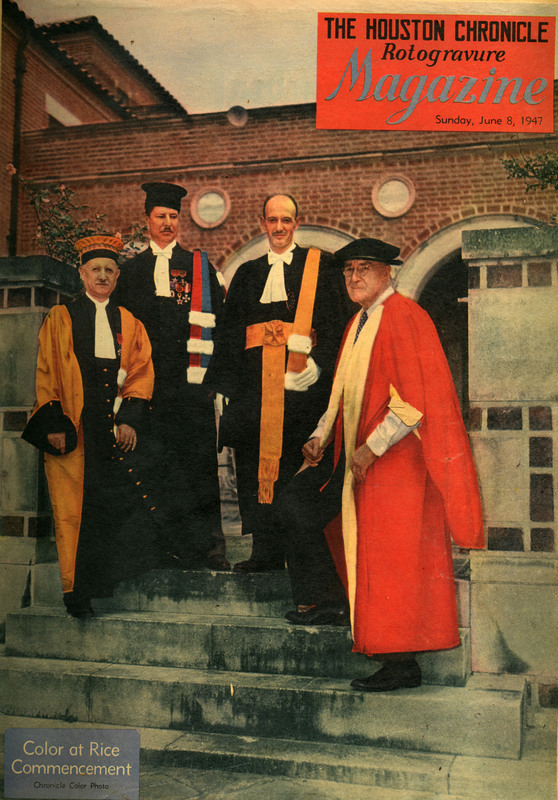 It was taken at the October 1962 Semi-Centennial celebration, just after the ceremony concluded by the look of it. They seem happy to be done. Bourgeois is at left with only a couple of those medals on, in the middle is our friend, the oft-discussed Floyd Lear of History (follow those links if you’ve never read about Lear and Queenie before), and on the right is James Chillman, who taught Art for decades. 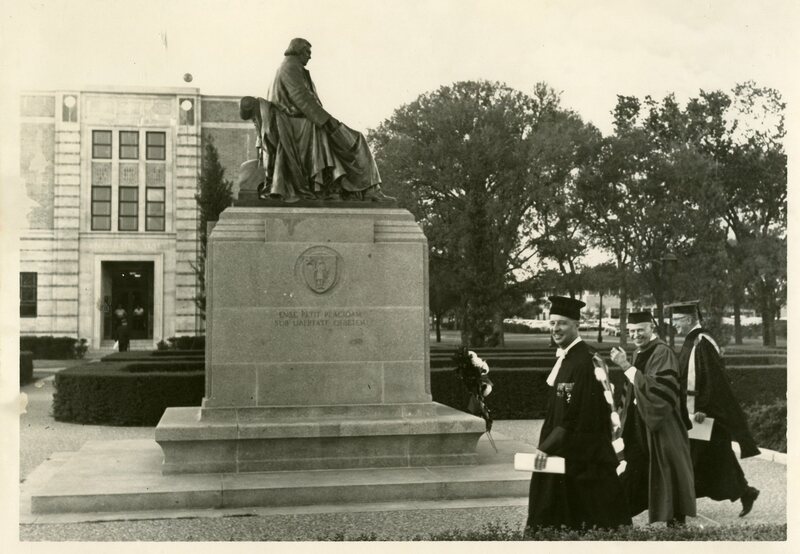 Behind them is the parking lot where Duncan Hall is today. 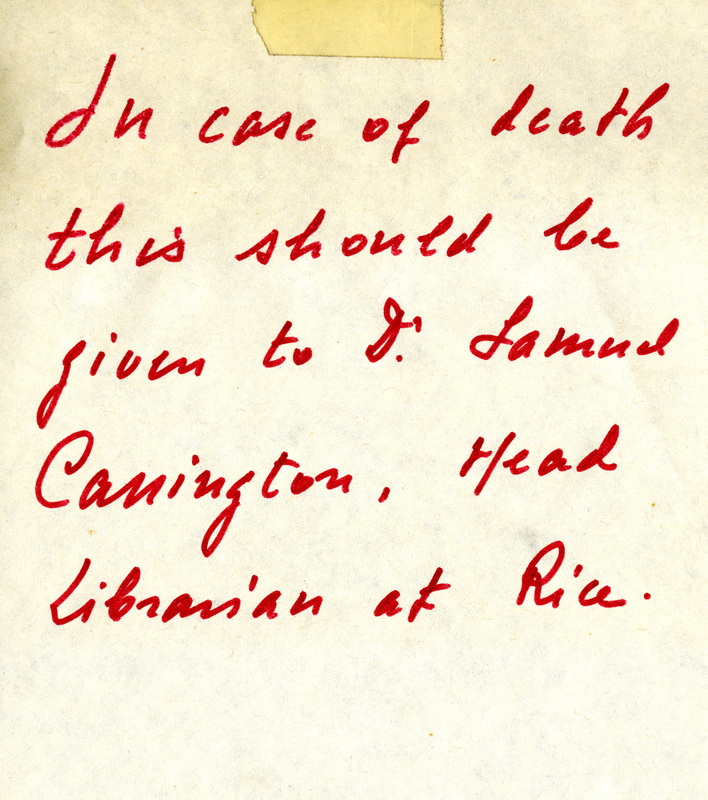 I assume the Sam Carrington in the note was the French professor I knew in the late 1970’s? 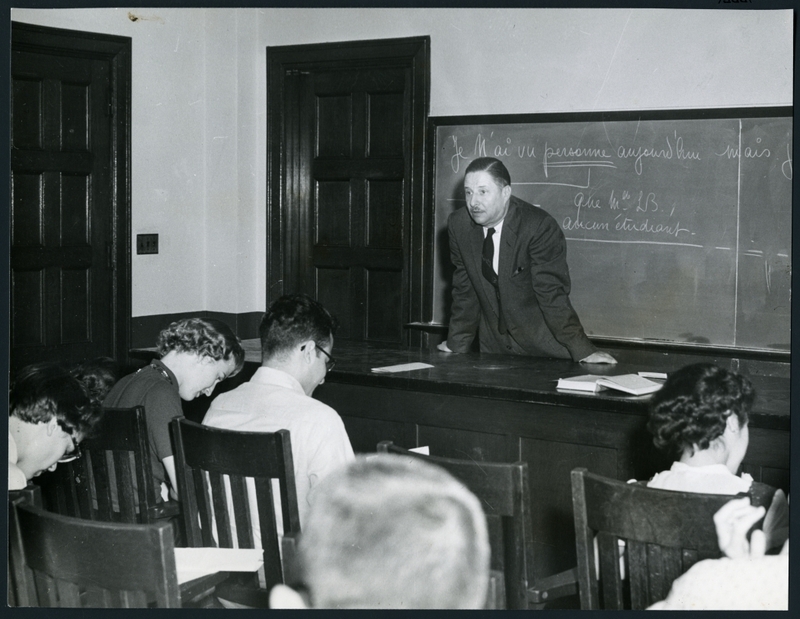 He also held some administrative office concerned with student discipline back then. 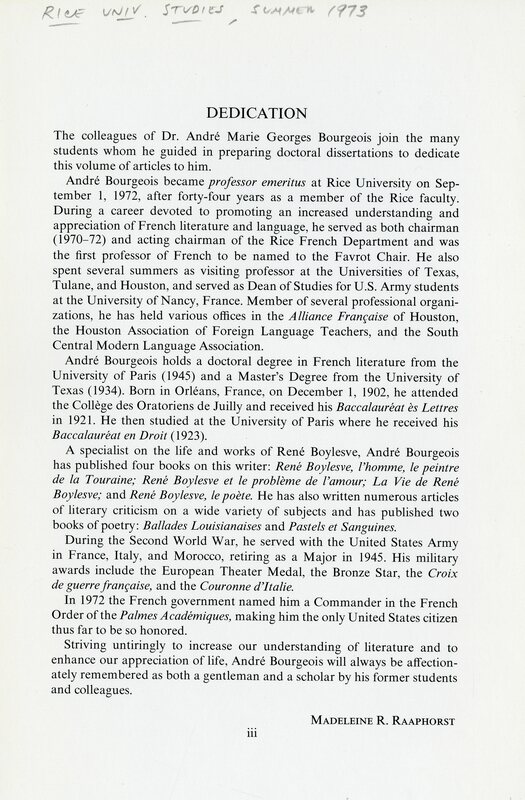 Yes, he was a professor in the French Department as well as Librarian and for some time in the late 70s he was also Proctor. His medals were a result of his service as a Major in Intelligence in the European Theatre of Operations.